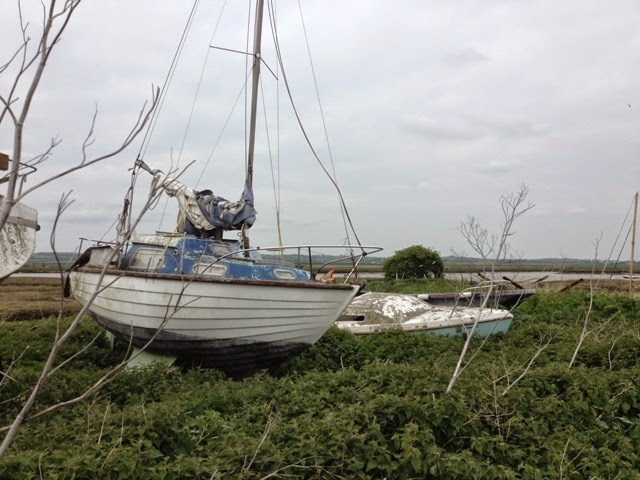 Marinas and boatyards have their graveyards where boats are dumped, and as far as possible hidden. Old fibreglass hulks are not easily destroyed. Metal cars can be crushed and recycled, but not ‘plastic’ boats. The best that can be done is to cut them into small bits and to bury them. Burning them is not easy; nor is it good, because of poisonous emissions polluting the atmosphere. In fact, getting rid of them is not good for the environment, whatever way it is done. Renovating and reusing them is better, but there is a limit to the number of times this can be done. We have to face the fact that we are leaving an unwanted legacy to generations to come. 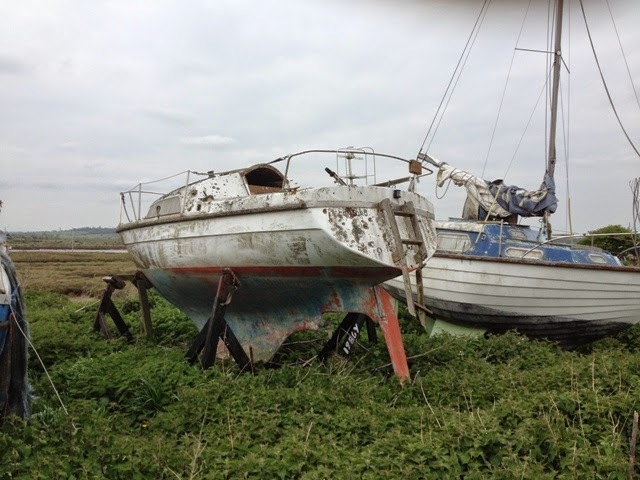 Meanwhile, managers of marinas and boatyards have to deal with the problem the best way they can, which is to hide them, or have them taken away to some remote spot by a disposal company. Perhaps there are ways of eliminating these decaying hulks, of which I am unaware. 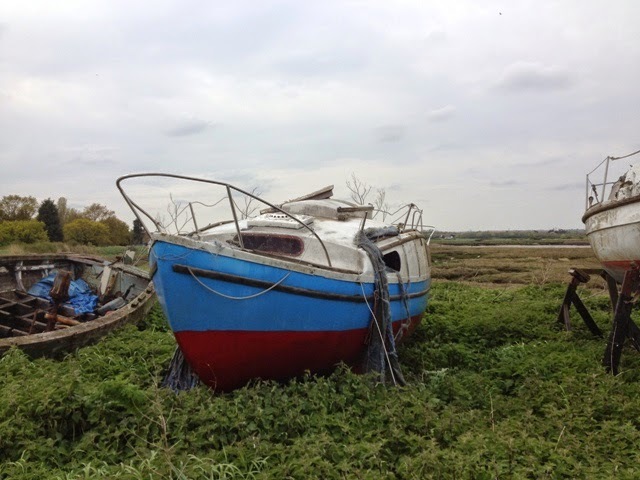 Burying them very deeply may be the answer, but I have found two businesses* offering a boat disposal service. Foundry Reach* claims that molecular science has provided a sustainable disposal solution. There’s a price to pay, whatever the solution. 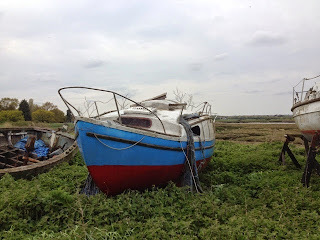 Note: The photos are of boats at Brandy Hole Yacht Club, Hullbridge, Essex.